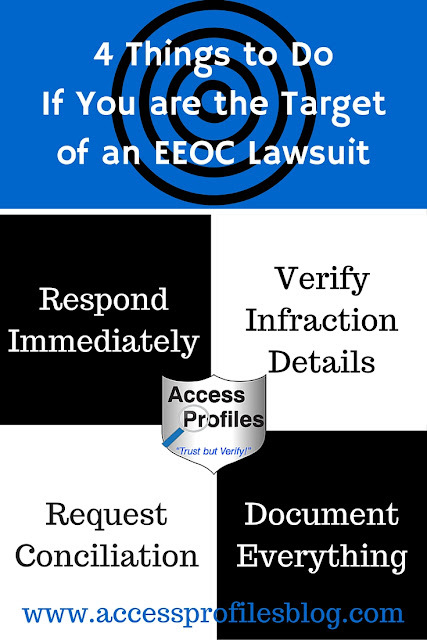 Access Profiles, Inc.: You are the Target of an EEOC Lawsuit: What You Should Know! 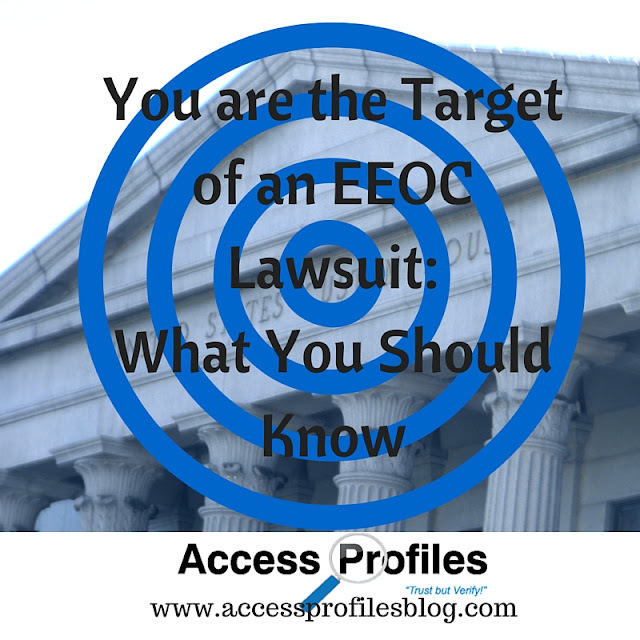 You are the Target of an EEOC Lawsuit: What You Should Know! Finding yourself the target of an EEOC allegation or lawsuit can be scary. You fear the stress of having to defend yourself in court, the possibility of being saddled with high fines, or even the prospect of losing your business. But before you get yourself into full panic mode, there are things you should know and others that you should do that can help protect you and your business. First and foremost, you should understand that you have rights. In many ways, those rights parallel those that the EEOC insists be given to job candidates ~ you are entitled to clear notification of the charges and the chance to explain, mitigate, or remedy them. In addition, Title VII of the Civil Rights Act states that the EEOC must engage in “informal methods of conference, conciliation, and persuasion” with you, the employer, before any lawsuit is filed. Only in the event that the conciliation has failed is the EEOC able to file in court. If the EEOC does decide to file a suit, they must include a sworn affidavit that they have met all of these requirements. But you also have the right to provide a statement of your own indicating what you believe to be the EEOC’s failure to do so. Here is where a Judicial Review begins. Courts are currently putting the EEOC on notice that how they handle employee allegations can be reviewed. While their power may be limited to reviewing the EEOC’s efforts of conciliation, or lack of effort as the case may be, it is a start. The key point to remember is that the EEOC must comply with their Title VII obligations to conciliate with you before resorting to litigation. This is your Right! And if you are successful during the Judicial Review in proving your charges that the EEOC failed, then the court would order the EEOC into talks with you. While this will not clear you of the EEOC’s charges, it will give you the chance to enter into discussions with them and possibly even settle before any court proceedings begin. That is why it is important that you know what you should do if you find yourself the subject of an EEOC allegation. Respond Immediately to any EEOC Notifications of Alleged Infractions in Your Hiring Processes. Verify that the Notification includes a detailed description of the infraction and the alleged harm it caused to your employee(s). Request that the EEOC enter into conciliation with you to resolve the issue prior to the filing of any lawsuit. Keep Detailed Documentation of everything concerning the case; letters and/or emails from the EEOC, transcripts of any discussions, and the results of those communications and discussions. Being proactive and requesting, in writing, that the EEOC lives up to their obligations of notification and conciliation helps you keep some control over the situation. And your thorough records of all steps taken will be invaluable in the event of litigation. Then, if the EEOC still files a lawsuit, be sure to request a judicial review to determine whether the EEOC truly met their Title VII obligations. Before it ever comes to this, there are steps you can take to help your small business fly under the EEOC radar. You can find more about them here! 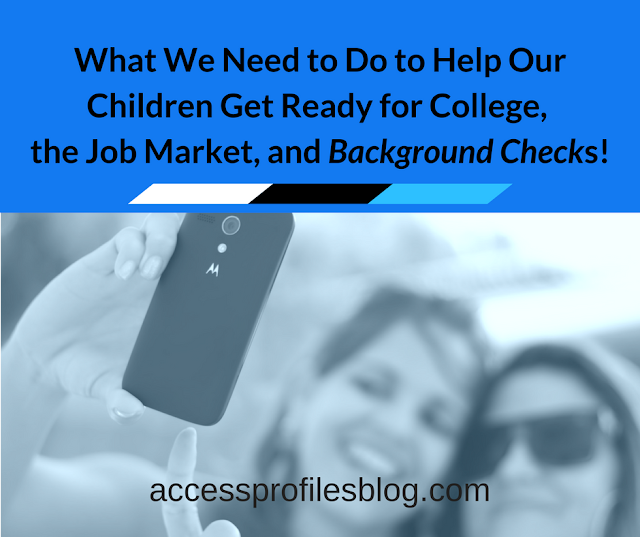 Discovering you are a target of the EEOC does not have to ruin you. If you take steps beforehand to be as prepared as possible, understand your rights, and know what to do if the EEOC notifies you of an alleged infraction, then you are ahead of the game. And that is a much better place to be! Please Pay it Forward and Share this article on your favorite social networks! And be sure to leave a comment. I would love to hear from you! For more information on how to keep your hiring processes safe and compliant, Contact Me! I can Help! 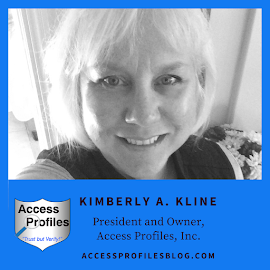 You will also find links to connect with me on Facebook, LinkedIn, Twitter, and more! And to find out more about what I do and why, visit by About and Services pages! Thanks!